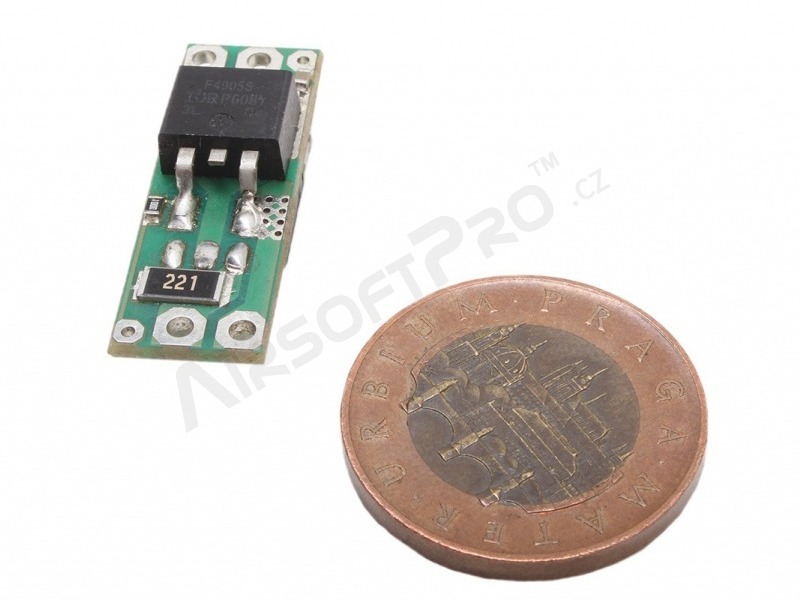 MOSFET offers contactless switching of any circuit. Active brake function uses residual motor energy for its imidiate stop. The higher the torque of the motor, the better braking effect. The piston is stopped in its default position when on semi, which leaves the spring loose. Lower wear of not only piston and sping, but many other parts as well. Solves the problem with double shot on semi. Maximum current up to 140A - recommended use in correctly working replica is with spring up to M160 and rate of fire up to 28bbs/s. 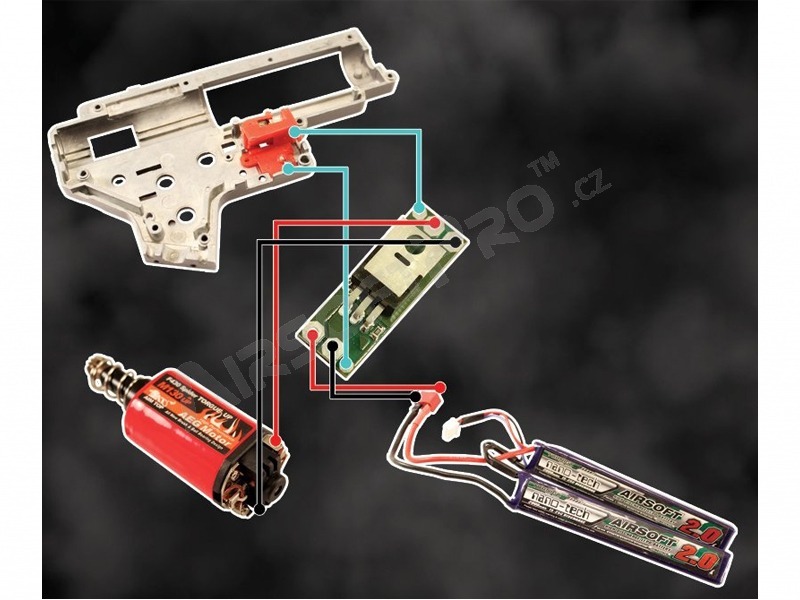 Connected by two wires to each element - battery, motor, trigger contacts (see scheme). 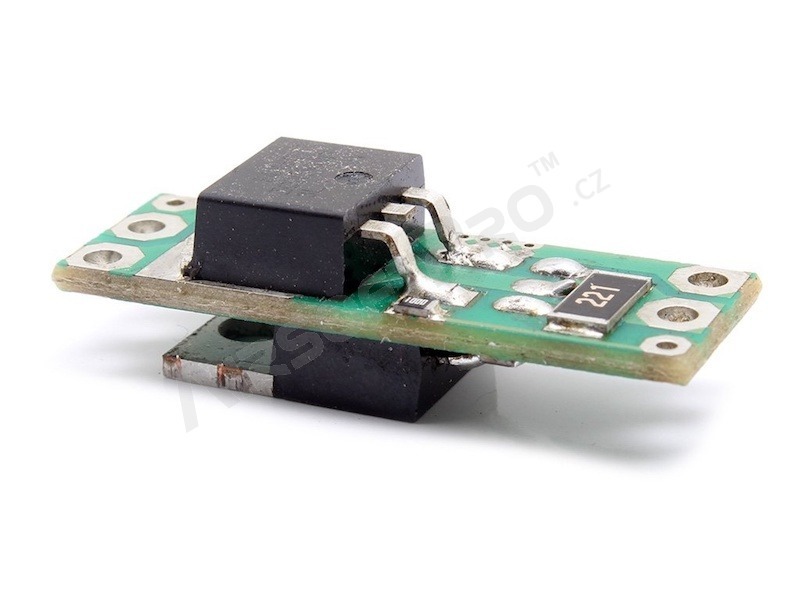 For higher load choose MOSFET with active brake Ultra. 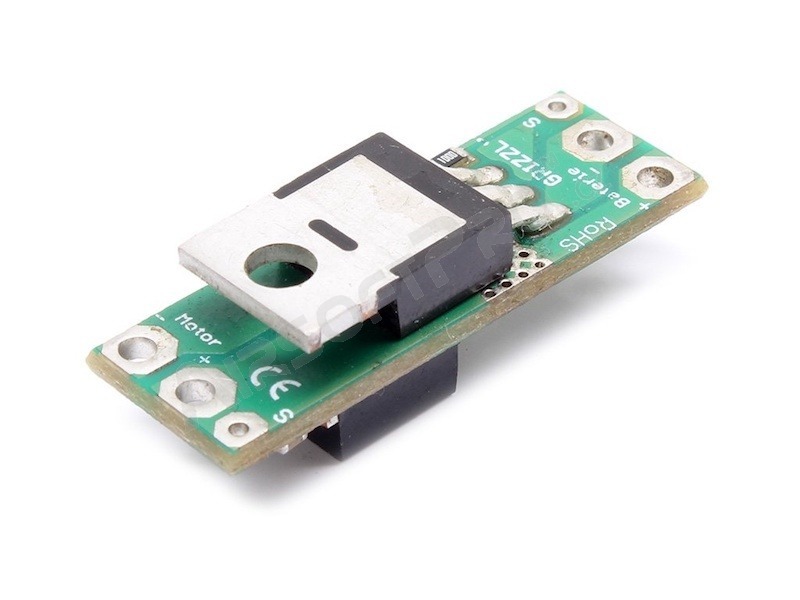 If you are not familiar with soldering, choose alternative with complete wiring. 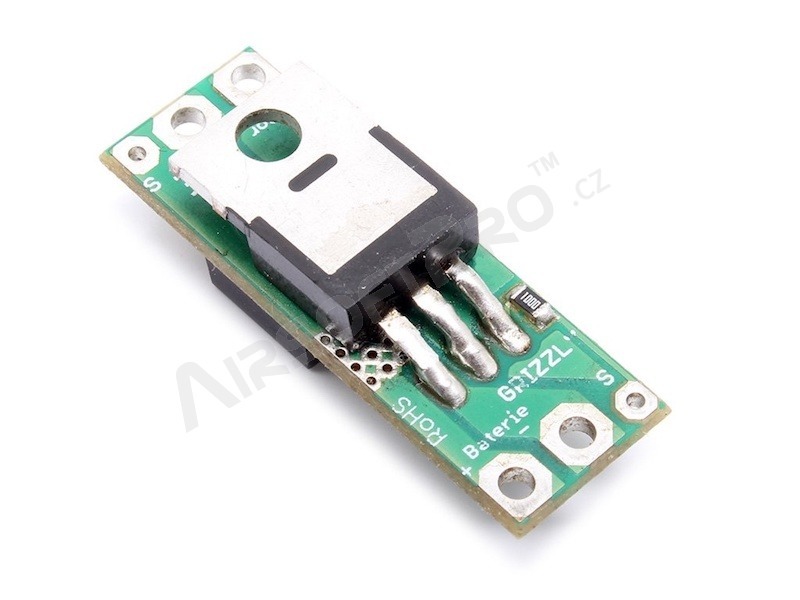 WARNING: MOSFET with active brake should be installed by qualified AEG professionals only. Manufacturer is not liable for any damage on the gun caused by unprofessional installation. Do not use soldering gun!